Head lice infestations have grown to epidemic proportions. Head lice infestation is a complex and vexing problem for families and their pediatricians because head lice are becoming resistant to approved pediculicides, and an increasing number of families are seeking alternative, non-toxic treatments. 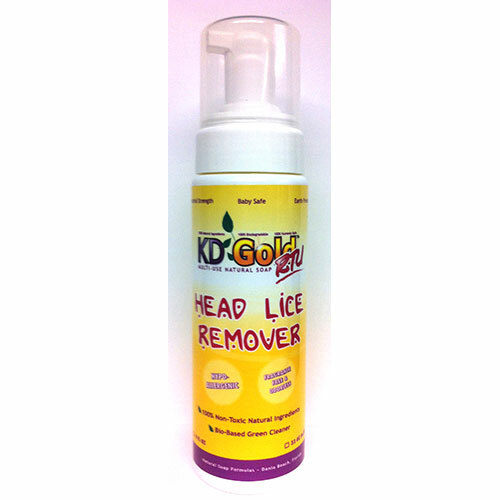 This study recorded the efficacy of KD Gold™ when used for the removal of head lice and ease in removing nits (eggs). A two-part survey of households across the United States and Canada that were actively seeking alternative solutions to pediculicides for use in their own homes. Part one was a pre-purchase survey; part two was a randomized selection of those households that had actually purchased and used KD Gold™. The population was households ranging in size from 3 to 10 people. Thirty households were surveyed with a total of 140 people, 87 of which had head lice. All household members were instructed to use KD Gold™ for eradication and as a prophylactic. 11 households had head lice from 2 weeks up to 2 months; 5 households has head lice from 2 months up to 6 months; 4 households had head lice from 6 months to 12 months; and 10 households had head lice from 12 months to 48 months. 100% of the participants had already used another head lice treatment without success. 97% of those treatments were pediculicides, including Lindane. Participants were interviewed by phone prior to the purchase and use of the product. Participants were interviewed again from 12 to 18 months following use of the product. Initial survey questions included: How long did they have lice, who was infected, ages of children, number of children, number in household, previous lice treatments applied, and cleaning products, chemicals, and pesticides (other than pediculicides) regularly used in the home or at work. The follow-up survey questions included: Did it work? Was it easy to use? Did you follow the directions? Did you feel comfortable using the product on children? Would you use the product again? Each household independently followed directions for use of KD Gold™. We defined successful treatment as complete eradication of nymphal stage and adult head lice and their eggs (or nits). 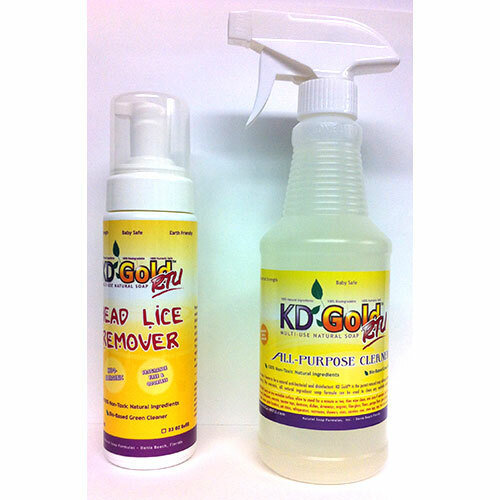 KD Gold™ was found to be 100% effective in the eradication of head lice. It was also 100% effective in the prevention of the spread of head lice within the household. In addition, all households with chronic lice (one to four years) indicated they were finally able to successfully eliminate the problem. 97% found KD Gold™ easy to use. 7% did not follow verbal or written directions yet found the product effective. Everyone in the survey felt comfortable applying KD Gold™ to their children, and 97% would use the product again. 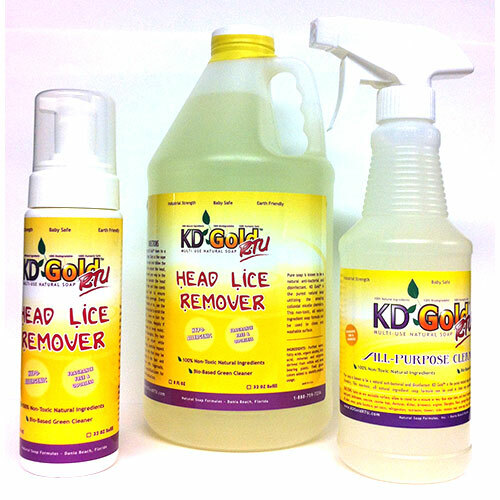 This efficacy study found an exceptional rate of success for removal of head lice with KD Gold™ for a wide range of households even when they did not follow directions. 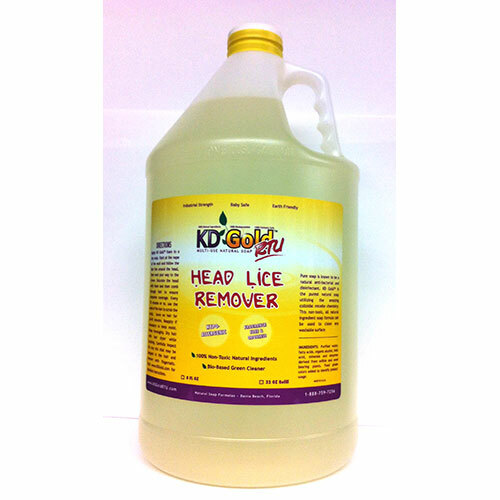 We recommend that households use KD Gold™ for both treatment and prevention of head lice infestations. Households should make KD Gold™, a non-toxic solution, their first treatment choice because it is safe and effective, and to avoid the damaging side effects of toxic pediculicides.